Film-Arcade.net: Minions Go Wild in Latest Trailer for "Minions"
Minions Go Wild in Latest Trailer for "Minions"
Universal Pictures and Illumination Entertainment recently released the final trailer for "Minions". The film is the prequel to the first two "Despicable Me" films. The film features the voices of Sandra Bullock (Gravity, The Heat) Michael Keaton (Birdman),and Jon Hamm (The Town, Mad Men). 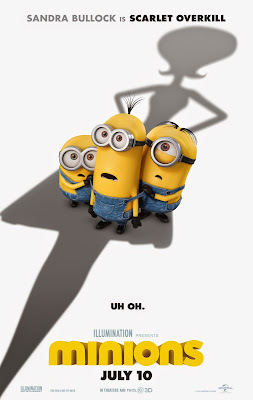 "Minions" set to hit theaters on 7/10/15. For more information on this film, you can visit the film's official website at: http://www.minionnation.net.